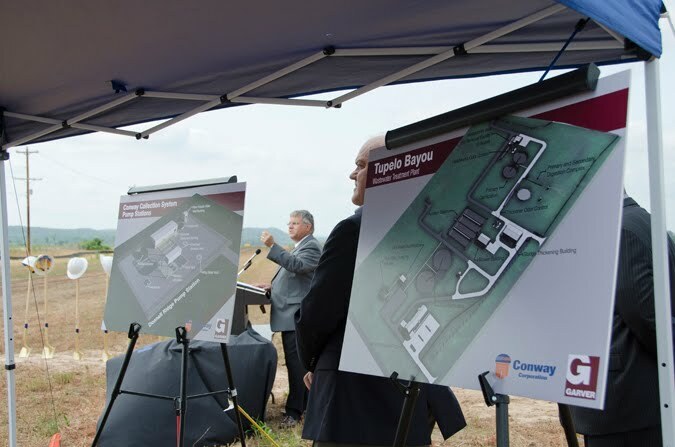 Conway Corporation has broken ground on the Tupelo Bayou Wastewater Treatment Plant, a new facility on Lollie Bottoms Road in Conway, Arkansas. 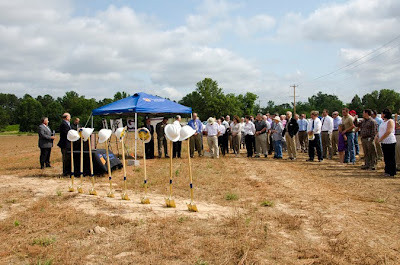 The groundbreaking for the treatment plant and related system improvements, including line work and pumping station, was May 25. "Today we are here to commemorate the construction of a 16 million gallon per day treatment facility that I believe will be an integral part of our infrastructure for decades to come," said Conway Corporation Chief Executive Officer Richard Arnold. "Its design is such that it can be doubled in size when our growth warrants, it employs proven technology, and for the first time in Conway we have air filtration [odor control] at key points in our processes." 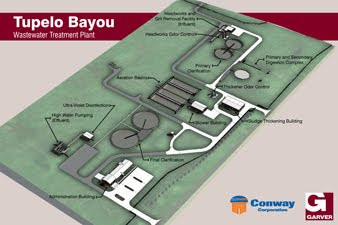 The Tupelo Bayou Wastewater Treatment Plant will replace one of the city's treatment plants and will feature advanced treatment technology that includes an activated sludge treatment system with ultraviolet disinfection—which eliminates the use of chlorine and sulfur dioxide gas—and anaerobic sludge digestion with gas recovery, which will be reused in the digesters’ heating cycle. Future use of digester gas for power regeneration may also be possible as the treatment plant is further expanded. "A strong city is like a well-built building; it must start with a firm foundation. The foundation for a city is its infrastructure," said Jack Bell, assistant to the mayor of Conway. 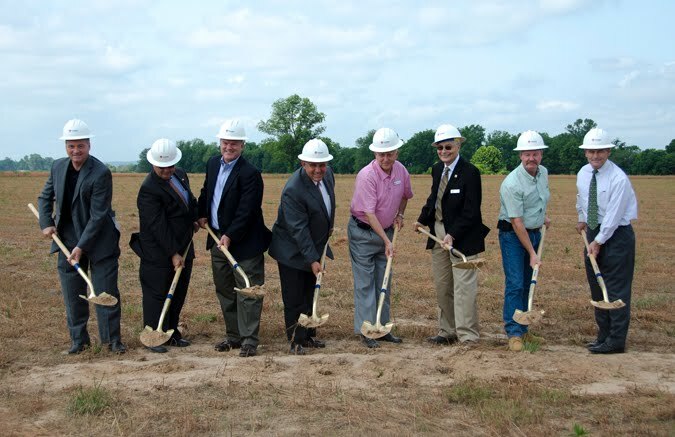 "This new plant is going to go a long way in making the foundation for the city of Conway a lot stronger." The plant will have the capacity to process 32 million gallons a day (MGD). The initial phase will construct two parallel 8 MGD liquid trains for a total capacity of 16 MGD. Additional capacity increases can be constructed in 8 MGD increments, with a 24 MGD capacity anticipated by 2030. Garver provided the professional engineering services for the wastewater system improvements from planning and design through the ongoing construction and future startup phases.